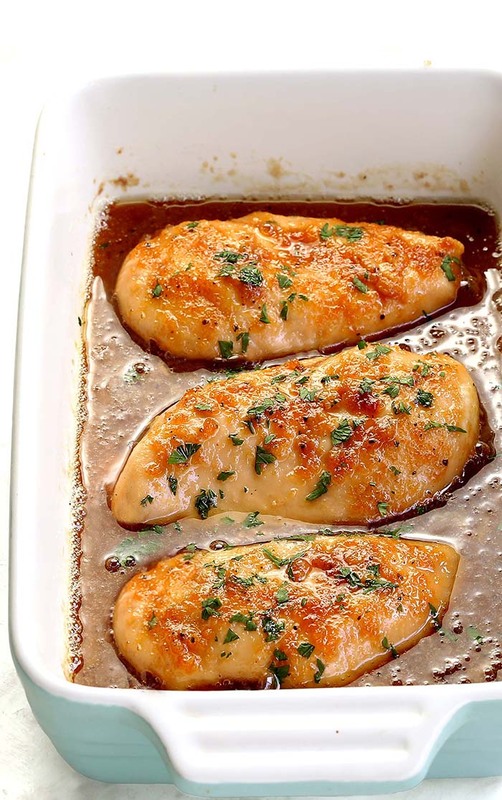 This garlic brown sugar chicken recipe is super easy to make. It’s one of those quick and easy weeknight meals that you’ll want to keep forever. 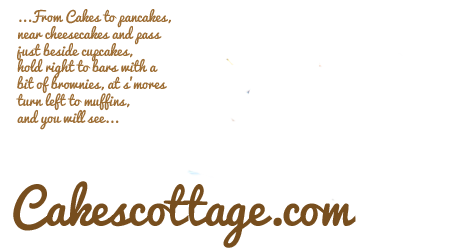 The kind of recipes that it is likely that you have all (just 4 !!) ingredients on hand and the kind of recipes that likely please everyone. 4 ingredients, that’s right. All you need is a chicken, little butter, garlic, and brown sugar and you will get this sweet, garlic-y chicken that goes with just about everything. 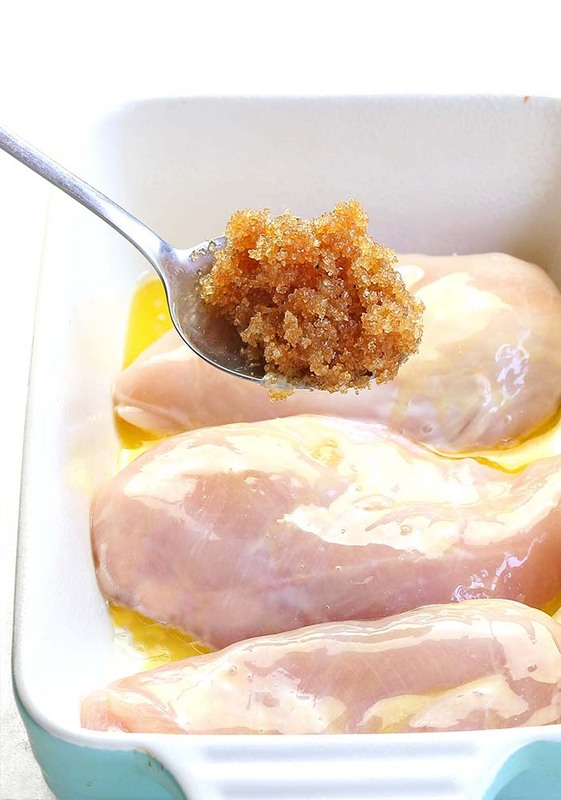 Simply whisk the brown sugar and garlic in a mixing bowl, place your chicken into a baking dish, brush with butter and rub the brown sugar mixture right over. Even picky eaters tend to like it! Dry, tasteless “shoe-leather” or perfectly juicy, flavorful chicken? You may be asking yourself, why bother brining at all? What are the benefits of brining? It’s just another step to add to the cooking process, right? But trust me when I say BRINING IS WORTH IT. Surprisingly easy, brining is the simple trick to perfectly juicy, flavorful chicken breast, and it can be done in just 15-30 minutes. So there’s no reason not to give this trick a try if you want to enhance your casual weeknight meal. My standard brining solution is 1/4 cup of kosher salt dissolved in 4 cups of lukewarm water. This is enough to brine 4 chicken breasts or pork chops. Q : Is it possible to brine for too long? When you’re ready to go, remove the chicken from the brine, rinse it with cold water to wash off the salt, and voila — your chicken is officially brined. 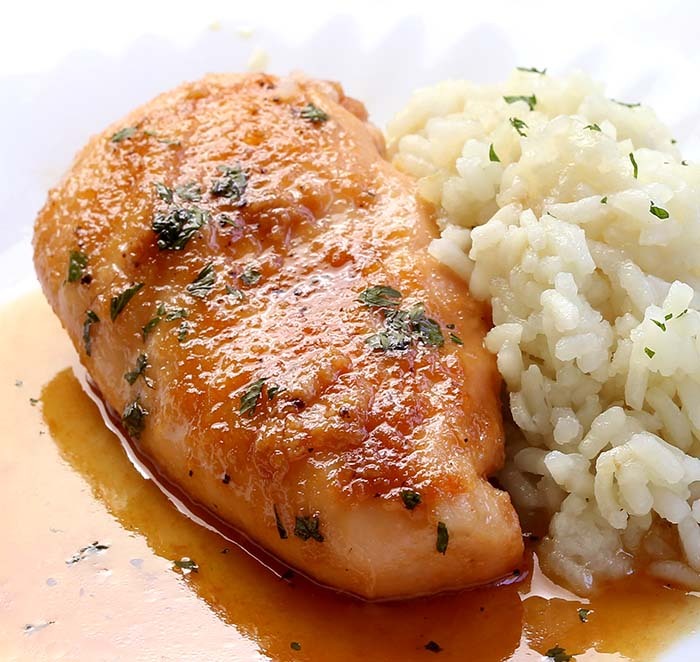 BRUSH your chicken breasts with melted butter. It adds great flavor and helps give a nice golden crust on the outside, and prevent the chicken from sticking to the pan, and also to help the sugar-garlic mixture stick. The key ingredient in this is BROWN SUGAR. 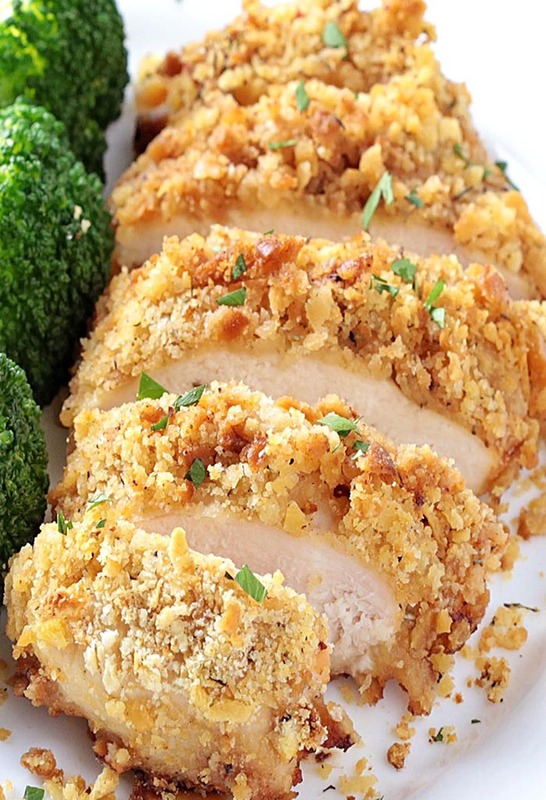 Yes it adds sweetness but don’t worry, this Chicken Breast recipe is still savoury. 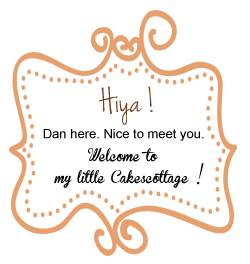 It makes the chicken sweat while it bakes, so you end up with wetness that makes the chicken more juicy than the usual baked chicken breast. Make the Brown Sugar Mixture: Combine brown sugar, minced garlic, salt and pepper before rubbing it all over the chicken breasts. 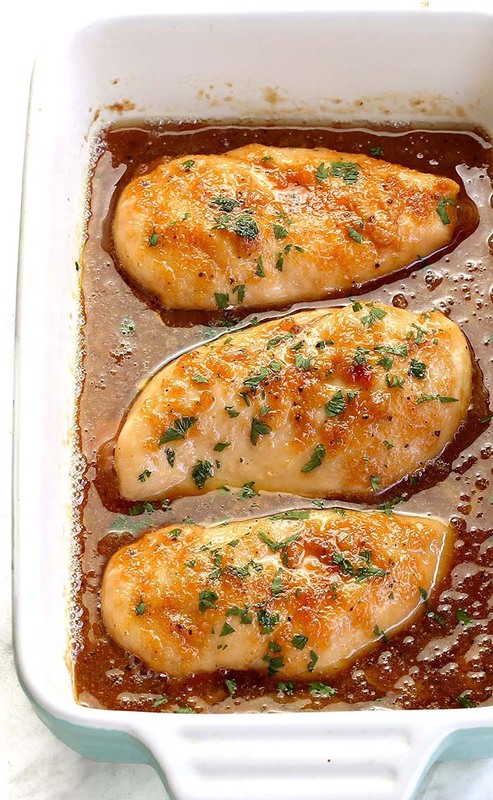 A medium sized 4 – 5 oz chicken breast will take 18 – 20 minutes to bake at 425 F. Cooking it at a high temperature is the secret to gorgeous caramelisation and ultra juicy chicken inside. In addition to the cooking quickly at a high temp, my tip is to pound chicken to even thickness. Make it once and I guarantee your family will be begging for this dish all the time! I’m sorry in advance. Craving more CHICKEN Recipes ? How can a dish with only 6 ingredients taste SO good? Think crispy, juicy, moist, tender and incredibly tasty Butter Chicken. 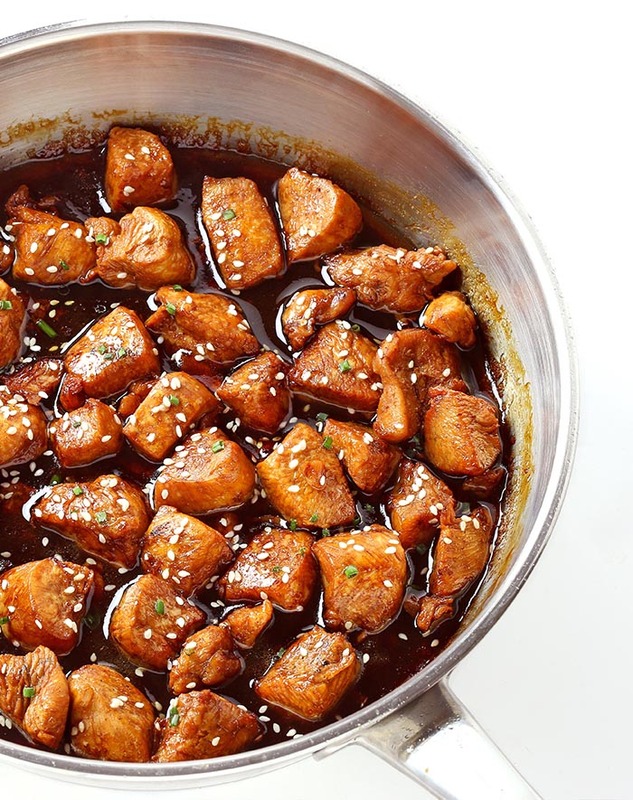 If you’re not in the mood to head to the mall, but you’re craving that plate of “mall food court” Chicken Teriyaki, then you’re going to love this Easy Teriyaki Chicken.